The real estate industry is highly competitive. The livelihood of realtors depend on them attracting new home buyers and sellers. Many agents use real estate signs on the properties they are trying to sell in addition to the Internet to help them advertise. 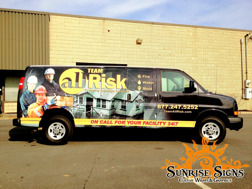 However, realtors who really want to make an impact and stand out from their competitors turn to realtor vehicle wraps. 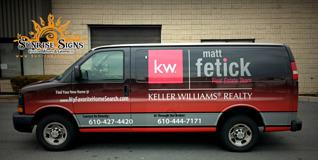 Delaware County’s Matt Fetick Real Estate Team recognized this and contacted Sunrise Signs. Back in 1985, world renowned athletes Joline Esparza and husband Ken Mills started JL Racing in California. 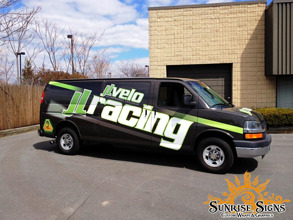 Today with retail stores in Seattle and now Manayunk PA in Philadelphia County and a web store, JL Racing is changing athletic gear including how it’s made using eco-friendly production techniques. With 20 years of experience behind them, Digital Telecom Inc. offers telecommunications, data and infrastructure needs to the New Jersey, Pennsylvania and Delaware. 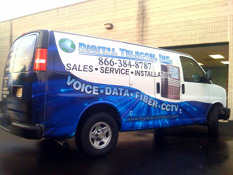 Headquartered in Marlton New Jersey in Burlington County, Digital Telecom’s goal is “Not only to meet the client’s expectations, but to exceed them” by consulting, analyzing, designing, developing and most importantly, supporting all communication requirements businesses need to operate smoothly. 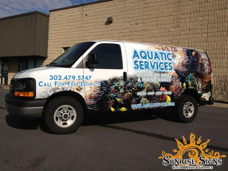 Located in Wilmington Delaware in New Castle County is Aquatic Services—a one-stop shop for all your aquarium needs. This aquarium design firm offers tanks specifically designed for both residential and business customers. They also offer a large inventory of accessories and can provide maintenance services for your fish tank needs. 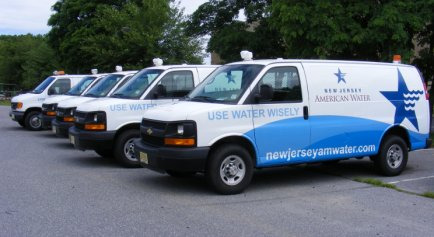 New Jersey American Water serves approximately 2.5 million people in 17 counties! 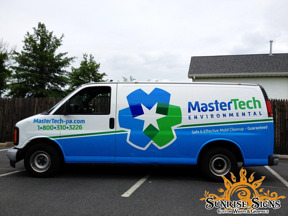 Their services include providing the freshest of water and wastewater services. They are also committed to education on water conservation and follow EPA regulations to ensure every glass of water is of the highest of quality and safe for drinking.